New All Electric MonoTracer MTE-150 Piloting Tutorial Videos. Peraves CEO and MonoTracer Jedi Master Roger Riedener continues his MonoTracer Academy series on the new all electric MonoTracer MTE-150 with the additional four tutorial videos. He begins with the very basics of how to get in and out of a MonoTracer (Video #9). Video #10 covers the all important MonoTracer operating controls with emphasis on the eternally respected switch for the retracts (bionic legs, stabilizers, landing gear, etc…). Roger also notes the MonoTracer is a seatbelt equipped Safety Motorcycle and helmets are not worn. Video #11 demonstrates just how slow one can drive a MonoTracer. Video #12 combines all 3 lessons with a ride into the city to visit Roger’s favorite Thai restaurant. 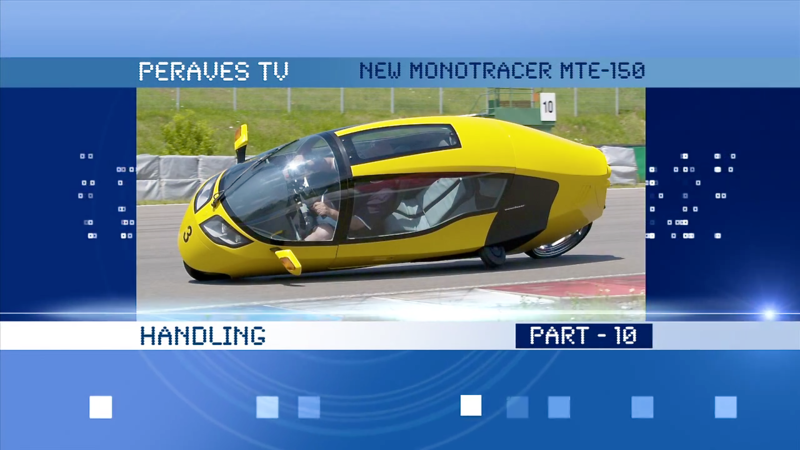 The MonoTracer is a very elegant vehicle and we want to pilot it in a very elegant way (with the stabilizers retracted). Study these videos and you’re well on your way to becoming a future MonoTracering pilot! This entry was posted in Peraves and tagged bionic legs, landing gear, MonoTracer Academy Tutorial Videos, MonoTracer Jedi Master, MonoTracer lessons, MonoTracer piloting, MTe-150, Peraves TV, retracts, Roger Riedener, Safety Motorcycle, Seatbelts, stabilizers. Bookmark the permalink. Roger, I love the way you demystify the MT and make it more personable. It makes it easier to relate to the unique expereince. Great job!